This is a very special fossil. 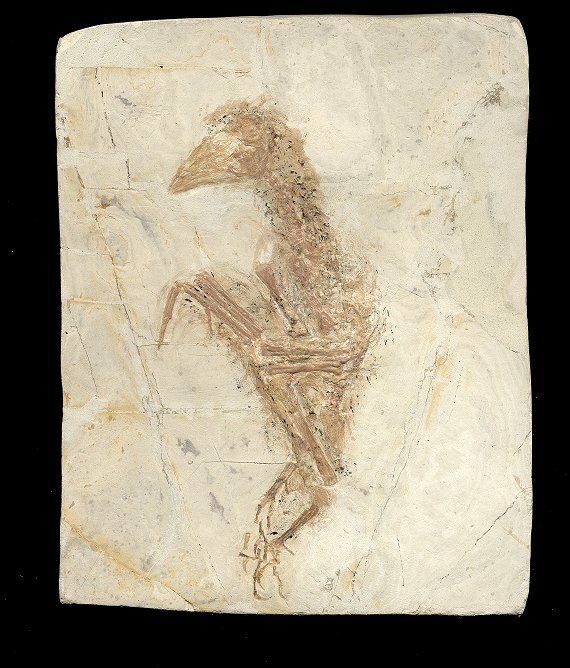 It is a complete fossil bird Liaoxiornis delicatus (? ), found in the same area in China where the feathered dinosaurs were unearthed. This bird is complete and has excellent detail preserved. The head is easily seen, and the wings are fossilized in the textbook ''flying'' position. The bones of the wings are present, and the claws on the feet are easily seen. The rest of the bird is also very well preserved. This amazing fossil could be the centerpiece of any fossil collection. It is a unique piece of the Earth's History, from a locality in China that has forever changed the way we think about the relationship between birds and dinosaurs.